What better way to celebrate than having your own Dallas QUINCEANERA Limousine Rental Services Transportation for your celebration. 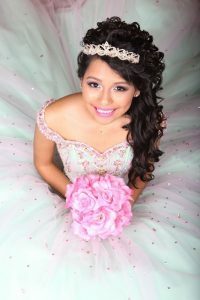 We offer great discount packages for all Quinceanera limo rental packages and Sweet 16 celebrations. We have a large selection of white Limousine and specialty vehicles you will fall in love with! Austin Limo Rental Services functions as a brokerage service. Our services for transportation are with an agreement through various limo companies and establishments in Austin, San Diego, as well as San Antonio. Upon confirmation of reservation we provide the following information: vehicle size and type, photos if requested cost of deposit that our client agrees to pay, contact information of the limo/transportation company that will be providing the service. We always tell our clients to contact the company before the date of their reservation to double confirm all of this information. In addition we ask that that our clients take the time to do their due diligence by inspecting the vehicles in person before hand. The contracts and responsibilities of transportation are solely through the transportation company and the client. This means that the transportation companies themselves are responsible for the representation , quality of service and conditions of their vehicles. Deposits are help by the transportation company and come out of the total sale amount the deposit is non-refundable, although they do reserve the right to allow a transfer of a deposit for a future booking. By signing the box below the client agrees to receive contact from Austin Limo Rental Services and its affiliates, and acknowledge that they agree to and have read these terms & conditions. A White Limo is the most popular choice for Quinceanera's and Sweet 16's. Fit up to 10 passengers family and friends to the birthday venue. Show her the love and invite all her friends to celebrate to and from her Birthday Party in a Party Bus with enough room for everyone to enjoy. White Luxury Sedans are perfect for the young lady and immediate family. 3 passenger white Quinceanera and Sweet 16 vehicles available for her special day. 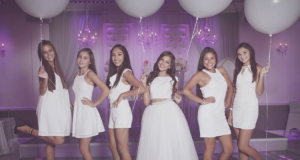 Take up to 14 passengers in a Mercedes Sprinter Van to the Quinceanera and Sweet 16 venue. After reserving the Limo for the young lady, book a Shuttle Bus for the rest of the family whether they are local or visiting. For the large extended family, Charter all family and guests up to 56 passengers to the Quinceanera and Sweet 16 venue. Please see below the areas we service in Dallas and surrounding areas.